Happy Tuesday everyone! Hope you all enjoyed the weekend! We had a fantastic time in the NC mountains last weekend with friends and I will do a blog post on our trip soon. But today, I am starting a 3 part series on fall trends I am loving right now. 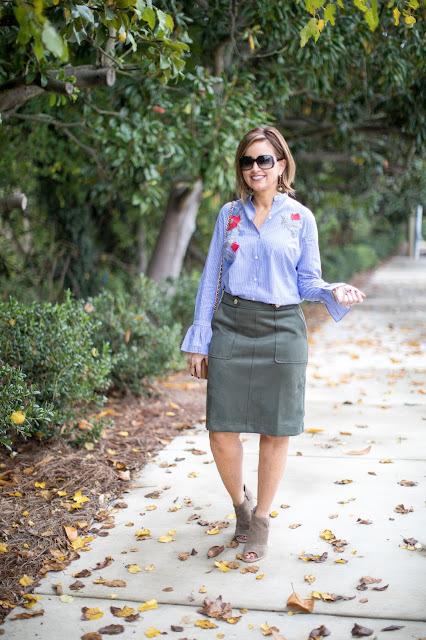 First, I wanted to share one of my favorite trends of the fall season…bell sleeves! 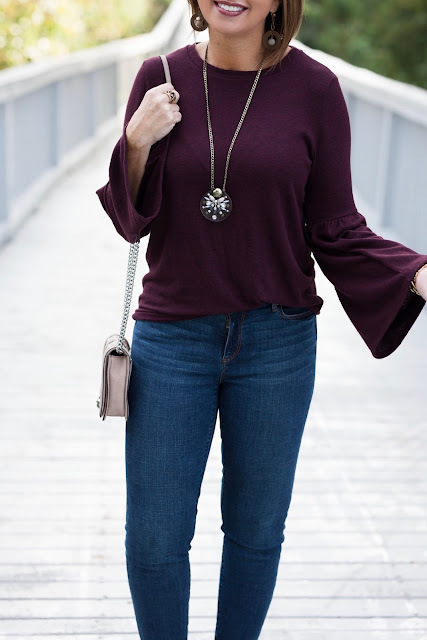 Bell sleeves on a top or sweater is a great way to add some fun to your outfit. This sweater is one of my favorites I have found recently. It is really soft and has the flared sleeves that aren’t too wide or too long. (No one wants the dreaded sleeves in the food while eating, am I right??) It comes in several other colors, but I love this pretty blush pink shade. This cutie is only $39, so it is really affordable too! I paired this with some colored jeans and a tassel necklace in complementing colors for a clean yet colorful look. If the wider sleeves aren’t for you, there are plenty of tops that have a more subtle bell sleeve. This shirt has a slight bell sleeve at the cuff that is fun yet a little more understated. 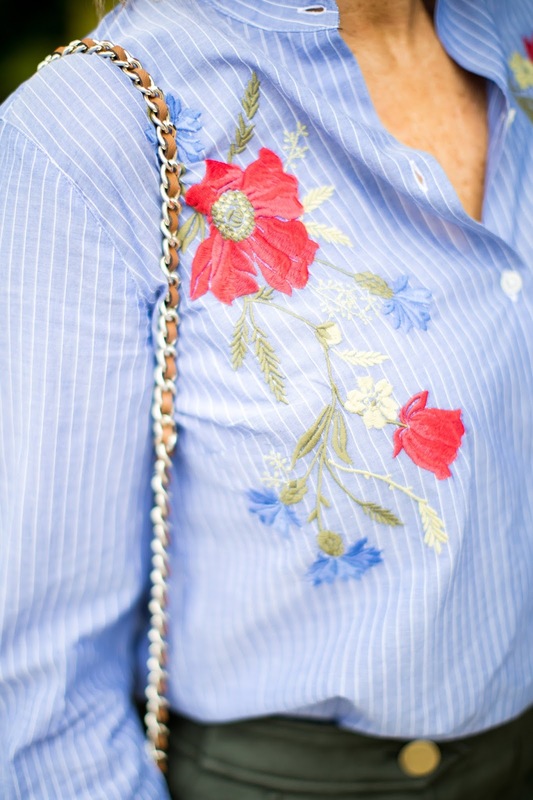 It has some pretty embroidery on it…one of my other favorite trends right now. That’s a topic for a different post, so stay tuned! If you don’t already have a bell sleeved top this season, I encourage you to give one a try! It is a great way to have a trendy look without breaking the bank. I’d love to hear from you if you find a bell sleeve top or sweater you really love. Thanks so much for stoping by and I hope you come back for Part 2 of my Fall Trends series on Thursday.